There are as many ways to manage grazing animals as there are ranchers and there is no one “right way” to graze. Livestock producers have been using tried and true methods in California for well over 100 years. Grazing management methods should be based on the landowner’s goals for their property, their lifestyle and business model and, if partnering with a rancher, his or her operational needs. Branded grazing programs are popular with new ranch owners who sometimes reject traditional practices and look for a “better” way to manage grazing. However, unless you have the background to fully understand the claimed effects of a branded grazing program, conferring with grazing advisors and experienced local ranchers will likely provide a more well-rounded approach. 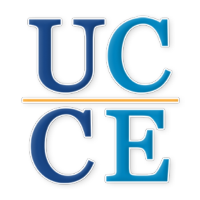 An abundance of science-based information on the effects of grazing is available on the internet and from your local advisor, Stephanie Larson, and UCCE's Livestock & Natural Resource Management website. For more information about grazing, consult the Grazing Handbook: A Guide for Resource Managers in Coastal California (pdf). California Certified Rangeland Managers (CRMs), licensed by the State Board of Forestry, are professionals trained and experienced in grazing management. Having a sense of the carrying capacity of your property is also essential for establishing a new livestock operation. If your property already supports grazing, then chances are that the existing stocking rate reflects the carrying capacity. In Sonoma County, year-round grazing is appropriate on most sites; though, in some cases, seasonal grazing may be appropriate. In California, most beef, sheep, dairy and goats, operations require year-round access to land for the females to live on, so limiting grazing seasonally is a serious hardship for most ranchers. 1. Preserving and Enhancing Natural Resources. Livestock grazing enhances habitats and native biological diversity. Looking out across Sonoma County grasslands, most of the plants that we see are non-natives that were brought here from Europe and Asia. 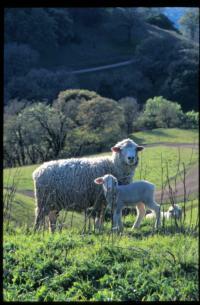 Livestock grazing is essential for maintaining habitat of many native plants and animals in modern day California. Most of the non-native plants that now dominate California’s grasslands are annuals that grow profusely, producing large amounts of plant matter that can smother native plants and ruin habitat for native animals, unless kept in check by livestock grazing. As well as helping to manage the excessive plant matter produced by non-native plants, grazing also plays a very important role in keeping grasslands open and preventing their conversion to shrub lands. Examples of how livestock grazing benefits a few several native plants and animals, including those that are threatened and endangered, are abundant in Sonoma and Marin Counties can be found at Grazing on Public Lands. Livestock grazing is the most cost-efficient and practical fuel management method for ranchlands and open spaces in Sonoma and Marin Counties. Learn more at Benefits of Grazing & Wildfire Risk. 3. Manage Weeds. Although grazing can increase some weeds, appropriate levels of grazing can help manage many others. Some weeds accumulate high levels of nitrogen and/or disturbance such as: thistles Carduus spp., Cirsium spp., Centaurea spp., Silybum marianum, rosy sand crocus, and others can increase under heavily grazing, especially in areas where animals are prevalent. Other weedy species, such as velvet grass (Holcus lanatus, a non-native perennial grass), and non-native annual grasses can be managed with targeted grazing. Further information may be found at Targeted Livestock Grazing to Suppress Invasive Annual Grasses. 4. Support Local Agriculture. Continued grazing helps keep alive a way of life that’s been here for over 100 years, provides local meat that consumers feel confident in buying, reduces the carbon footprint of meat production by minimizing transportation, and helps keep the local economy strong. Learn more at Go Local Sonoma County. This plant matter, if left ungrazed, is referred to as “thatch,” which, once it dies it blankets the ground.